Motor vehicle accidents are one of the leading causes of traumatic brain injury in the United States. According to the Brain Injury Institute, car crashes account for about 17.3% of traumatic brain injuries and the leading cause of TBI-related deaths in the U.S. If you received a traumatic brain injury in a motor vehicle accident, call the Rocky McElhaney Law Firm right away. Our car crash attorneys have dedicated their lives to protecting the rights and the futures of people in and around Nashville, Knoxville and Hendersonville, and throughout Tennessee and Kentucky, who have been injured in accidents caused by someone else’s negligence. What happens to the brain after a head injury in a car crash? When you are riding in a car that is traveling at 55 miles per hour, your body is also moving at 55 mph – even though it feels like you are sitting still. When the vehicle crashes into another object and the forward motion of the vehicle is halted instantaneously, your body continues its forward momentum until it comes into contact with something stationary that stops it. When the head that is in motion crashes into the windshield and then snaps back, the brain gets rattled inside the skull. That forward thrust and backwards snap is what causes the severe brain trauma. Concussion, which is a relatively mild injury that may cause a short period of unconsciousness, but will not usually cause permanent damage after just one occurrence. Bruising and bleeding of the brain often occurs in car accidents when the strong forces push the brain forward and then backward against the skull. Hematoma occurs when the brain tissue is injured and blood collects within the skull. Edema is swelling inside the brain, which causes a rise in intracranial pressure. Contusion is a bruise to the brain caused by the forceful impact of the crash. Depending on the nature of the accident, a person can come away with several of these injuries. A person who has received a brain injury after an auto accident may need ongoing medical care. If they will not be able to return to the kind of work they did before the accident, their lives will take an unfortunate turn. However, there is a legal remedy for those who have been injured and suffered losses due to another’s negligence. You can take legal action and get compensation for your mounting medical bills, your lost wages, pain and suffering and permanent disability. 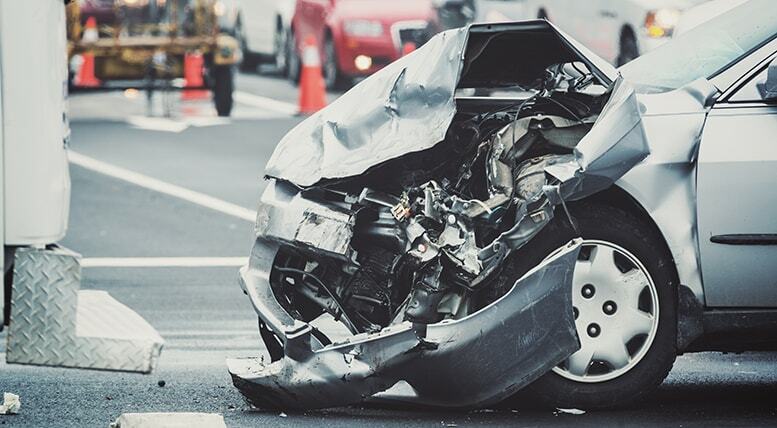 The experienced car crash lawyers of Rocky McElhaney Law Firm will fight through the obstacles and help you get the maximum compensation you deserve. We focus on the fight so you can focus on your recovery process. A traumatic brain injury can have a devastating effect on your way of life. You may not be able to do the work you did before, or relate to your loved ones and friends in the same way. At the Rocky McElhaney Law Firm, we have helped clients in Nashville, Knoxville, and Hendersonville and throughout Tennessee and the Southeast obtain the compensation they need to make a true recovery. Please call 888.619.4765 or fill out our contact form to schedule a free consultation with a member of our team.